Should bikes be treated like cars? We are not like cagers! While discussing the concept of treating motorcycles like cars with a council member the other day, we made the obvious statement that cars congest our roads whilst bikes don’t. Our statement was accepted but the council member was still keen on the idea of treating motorcycles like cars, which came as no surprise to us given the complete lack of knowledge that this individual demonstrated about bikes. When we made the statement that because cars congest, then bikes should also congest, the guy argued that bikes were different from cars and so don’t cause congestion. So why does he want to treat motorcycles like cars then whilst he clearly recognises that bikes are different from cars? When a public authority starts to treat bikes like cars, motorcyclists often go down the streets en masse and behave like car drivers, that is take the space of a car either while parked or riding on the road and enjoy the complete mess that this creates. One car equals one bike, right then, let’s occupy the same space as a car on the road, the same kerb space as a car while parked so that the number of parking spaces for cars decrease, stop filtering through traffic (or lane splitting) to cause the same amount of congestion as a car and leave plenty of space between us to cause the same disruption as cars naturally do, and then let’s see whether the public authority will continue to treat motorbikes and scooters like cars. 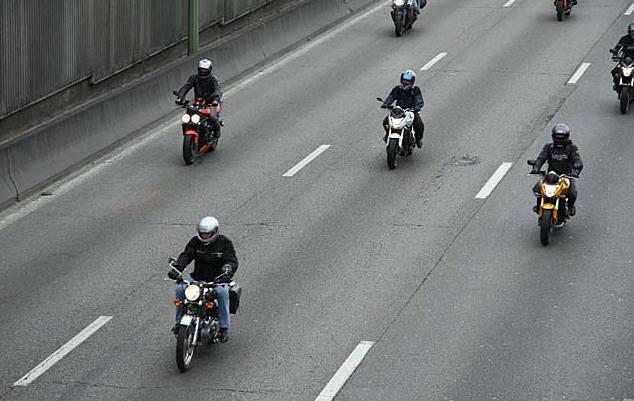 Last year, the Fédération Française des Motards en Colère (FFMC – the French Federation of Angry Bikers) organised enormous demonstrations all over France to protest against the Government’s proposals to introduce a compulsory road safety and environmental test, exactly the same test as for cars. 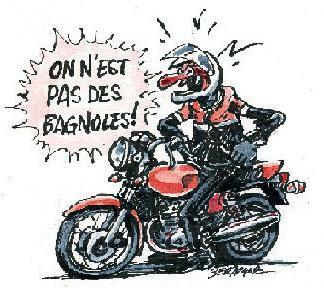 Thousands of bikers took over the French roads and behaved like car drivers, that is each occupied the same space as a car to prove to the Government that should they treat bikes like cars, then bikes will behave like cars and cause the same disruption and congestion as cars do. Each bike occupies the same space as a car... Can you imagine the impact on congestion? 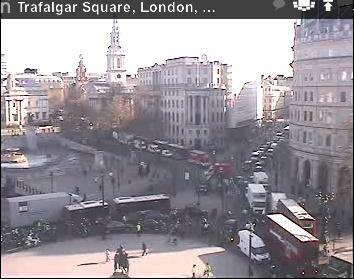 Every Wednesday morning and evening, a group of motorcyclists from the No To Bike Parking Tax campaign gather in central London’s Trafalgar Square and ride their bikes like if they were driving cars. Each bike deliberately takes the same space as a car on the road and causes enormous congestion that has the effect of creating massive traffic jams all over central London during rush hour. That’s what happens when an authority like Westminster City Council has decided to treat motorcycles like cars by charging them to park for no reason other than make the authority wealthier. They treat bikes like cars, so they behave like cars.